August 10, 2018 – 81021o8 – is a Palindrome Day! The number is the same written backward or forward! Here are some t-shirts in celebration of palindromes! Browse more palindrome t-shirts! Remember if you click on any t-shirt, you can choose the style, color, and size you want, for infants to adults – or choose this design on lots of other gift items too! 26 August 1723: The inventor of the microscope, biologist Antonie van Leeuwenhoek, died at age 90. Browse more microscope t-shirts! Remember if you click on any t-shirt, you can choose the style, color, and size you want, for infants to adults – or choose this design on lots of other gift items too! T-Shirt of the Day Award for National Punctuation Day! 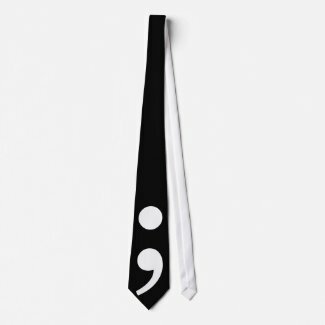 A semicolon is not a surgical procedure, and an ellipsis is not a celestial event. National Punctuation Day celebrates these facts and many more, honoring everything from the lowly comma to the fanciful ampersand. These punctuation-themed t-shirts celebrate punctuation marks too! Browse more punctuation t-shirts. Remember if you click on any t-shirt, you can choose the style, color, and size you want, for infants to adults – or choose this design on lots of other gift items too!